Subscribe to one or both of our free newsletters using the forms below. 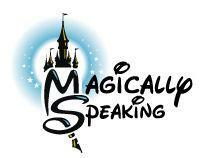 The Mouse For Less Newsletter offers Disney news and great articles. Magical Notifications alerts you to the latest Disney discounts. Never miss a Disney discount again with Magical Notifications. Never Miss Out on a Disney Destination Discount Again! Subscribe to our newsletter, Magical Notifications, and receive our weekly email alerts about special money saving promotions to Disney destinations. 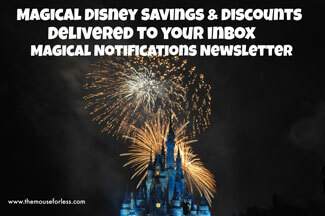 Get information on Disney Destination discounts by subscribing to our newsletter, Magical Notifications. Do you need to know about the latest specials and travel deals? Would you like information on your favorite travel destinations, and some great travel tips? Do you want this information delivered right to your e-mail inbox? Then take a moment to join The Mouse For Less Newsletter's mailing list. This special newsletter will arrive in your e-mail, and is sent once every two weeks. Subscribe to our Magically Speaking newsletter to get the lastest news and information about your favorite Disney destinations.